HBO Offering Free Programming On A Couple of Their New Shows!!! HBO will be offering free programming to two of its newest comedy series, ‘Girls’ and ‘Veep’ on multiple formats. They will be available for free the day after their debuts on HBO and will only consist of the pilot episodes of both series. 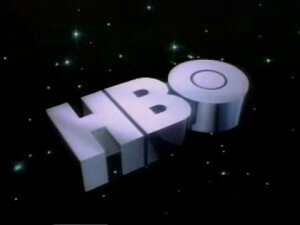 They will be available on HBO.com, YouTube, DailyMotion, TV.com, and multiple distributors’ Free On Demand platforms. ‘Girls’ will be available April 16-May 14 after its premiere April 15 on HBO, and Veep will be available April 23-May 21 following its bow April 22. ‘Veep‘s’ pilot will also be available free on iTunes during its sampling period.Created by and starring Lena Dunham (Tiny Furniture), Girls concerns a group of young women living in New York City, In addition to Dunham, cast includes Jemima Kirke, Allison Williams, Zosia Mamet and Adam Driver, with recurring guest stars including Chris Abbott and Alex Karpovsky. Veep, created by Armando Iannucci (In the Loop) and starring Julia Louis-Dreyfus, is the story of Selina Meyer, a woman who becomes vice president, only to discover the job is nothing like she expected, but everything she was warned about. Ensemble cast includes Tony Hale, Anna Chlumsky, Matt Walsh, Reid Scott, Timothy C. Simons and Sufe Bradshaw. This entry was posted on Thursday, April 12th, 2012 at 2:16 pm	and is filed under News, Television. You can follow any responses to this entry through the RSS 2.0 feed. You can skip to the end and leave a response. Pinging is currently not allowed. « Harry Potter Author, J.K. Rowling Unveils Her New Adult Book!! !